Audiences are laughing their way through My Man Godfrey, and you should join them! 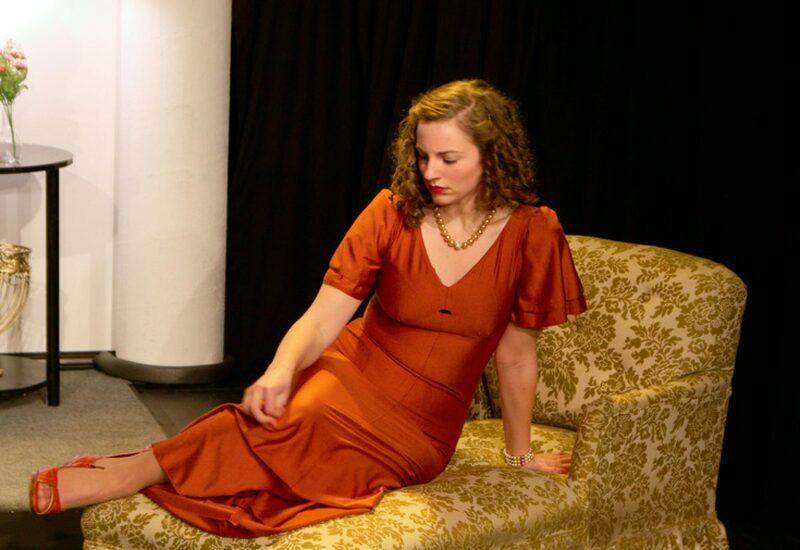 There are only two more weekends left to catch this rare classic screwball comedy. Turns out one of my favorite movies of all time, My Man Godfrey (starring William Powell and Carole Lombard) is also a play, and I am beyond excited to share with you that I will be playing Irene Bullock in Theater Schmeater’s upcoming production of My Man Godfrey (directed by Doug Staley). Most people have never heard of this gem of a film, which is unfortunate. I quote this movie on a regular basis and have since high school. If, as of yet, my recommendation to see this movie has gone unheeded, you now have an even better excuse to see it. There are literally eight full versions of the movie uploaded on YouTube. Go watch it, and then come see the show. See you at the Schmee! Come April, I will portray Teacher-in-Space Christa McAuliffe in the Seattle premier of Challenger. Originally devised by a student ensemble at Central Washington University, Challenger is a six-woman show that tells the story of the shuttle disaster and aftermath as a unique ensemble piece. January 28th marked the 30th anniversary of the disaster, and this show in memoriam will be a moving tribute to the crew who lost their lives in 1986, while also serving as a poignant reminder that in the face of disaster, we must continue looking to the stars. We are also in the middle of a GoFundMe campaign to take care of the rest of our expenses and help Rocket Theatre Lab continue its good work after the show closes. If you can give, even just a few dollars, we would greatly appreciate it. Your support makes shows like ours possible. Donate here. Support local theatre artists (and some of my friends) by giving to the Crossroads Recording Project. Ryan Anderson is a talented young force, and a friend of mine. Please help him make this happen! “Crossroads Recording Project is a sponsored project of Fractured Atlas, a non-profit arts service organization. Contributions for the purposes of Crossroads Recording Project must be made payable to Fractured Atlas and are tax-deductible to the extent permitted by law. The purpose of creating “Crossroads” is to collaborate with the phenomenal theatre talent of Seattle, to create a recording to give back to the education programs that are prominent in the Pacific Northwest and to offer the world a new version of classic showtunes in an artistic format that is tangible. We hope to raise $30,000 to make this special and unique recording of Broadway show tunes and we are trying to raise 2/3 of that budget through this campaign. The recording will feature collaborations of some of Seattle’s finest theater artists – along with members of the Seattle Symphony Orchestra. Greatly enjoyed your Trix performance last night as well as Schraeder the night before. Great stage presence and a fun transformation between the two very different roles. What really blew us away was the unexpected the “bigness” of your voice, in particular after the sub-dued and classy role in “Sound..” Congrats and many thanks. You are a great talent. Thank you, Karin and Al. Your kind words have lifted my spirits, encouraged me during this week of endings, and reminded me that I have many people to thank. Most of those people I can talk to, keep in touch with, hug. But there is one group that I cannot reach so personally: the audience. I hope that some of you who came out to see our shows this summer will find this note and know that you were just as much a part of our summer as anyone in the cast and crew. Five nights out of the week for two months, you showed up, supported the arts, and shared this beautiful summer with us. I’m sorry that I only got to meet a few of you and thank you in person. I’ll never forget the small family that spent a weekend introducing their young children to live theatre or the people that took the time to remember my name and thank me personally. You have overwhelmed me in the best sense. So, here’s to you. To your handshakes, your laughter, your warmth, your jokes, your reactions, your applause, your ovations, and your smiles. To each of you, thank you for allowing us to be a part of your memories. It means more than you can know. And as you exit the theatre these last few nights with “thank you” on your lips, I say from the deepness of my heart, it has been a pleasure. Tickets for Leavenworth Summer Theatre’s 2014 shows are on sale now! I’m performing in all three productions this summer: The Sound of Music, Fiddler on the Roof, and The Drowsy Chaperone. Sound of Music and Fiddler are both outdoor productions. I hear that tickets sell out (and there are no wait lists), so get your tickets while the getting’s good! It’s sure to be a wonderful summer. The performance dates for all shows are listed on the Leavenworth Summer Theatre website. I’ll go ahead and list them here, for good measure. I will spend this summer acting in Leavenworth Summer Theatre’s three musical productions: The Sound of Music (as Baroness Elsa Schrader), Fiddler on the Roof (as Fruma Sarah), and The Drowsy Chaperone (as Trix). This year marks the 20th anniversary of LST’s annual production of The Sound of Music. 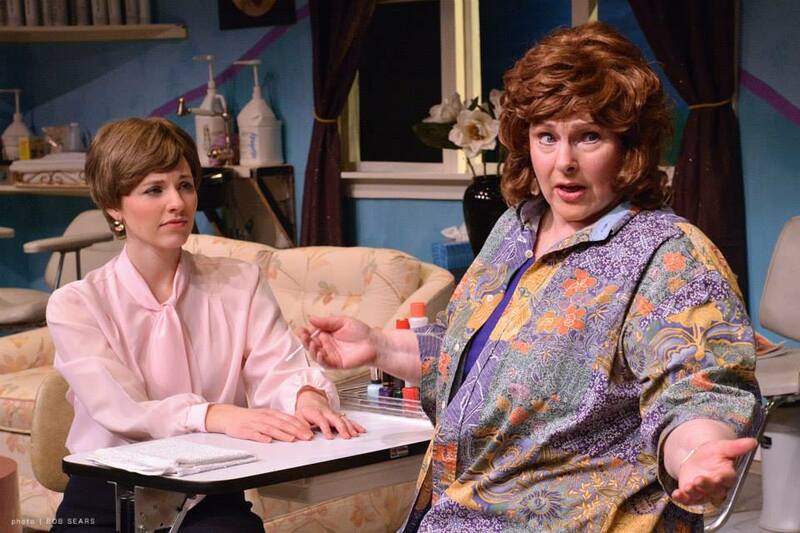 Here’s a small promotional article about Steel Magnolias at Driftwood Players. We open tomorrow night! 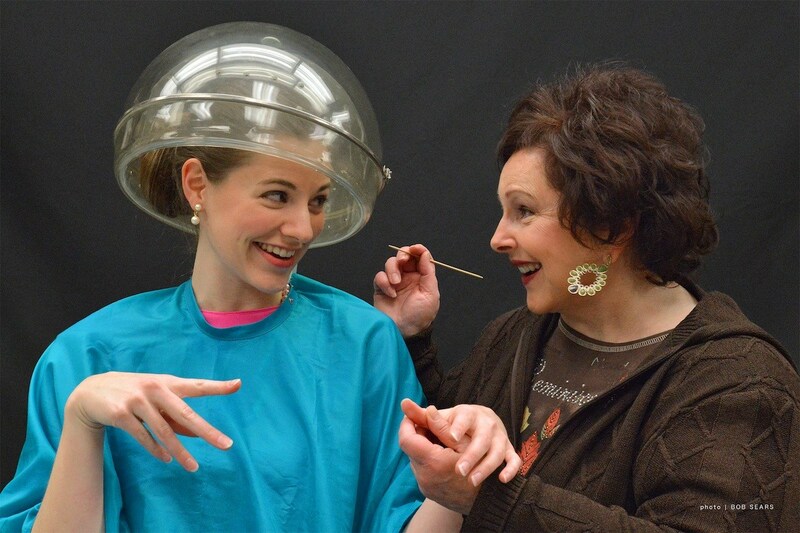 Here’s an early promotional photo from Steel Magnolias at Driftwood Players Theatre. Opens Valentine’s Day 2014.